You have your kitchen set in full gear, but the battleground for customer acquisition has changed drastically with the advent of smartphones. You will be remiss if you don’t adapt your game plan to your customers’ evolving purchasing behavior. You have various options, but paying 13% commission fees shouldn’t be one of them. 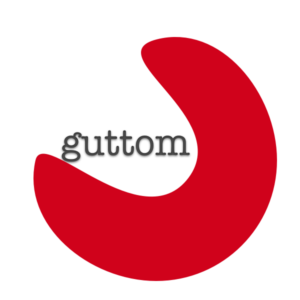 guttom can help you launch your restaurant on the web; saving you time on menu management and eliminating order errors. A mobile app is the new billboard. It can make you visible and make your brand recognizable. Take advantage of this means to build your brand as more and more Americans own and spend more time a day on their smartphones and other mobile devices. A mobile app can encapsulate your company’s brand image. As you engage more customers through your own app, the more inclined they are to buy your products. A mobile app provides a direct link to customers. New menus, prices, promotions, etc. are readily available to them. Updates and reminders on what’s new in your restaurant are easily done with push notifications. As customers use your restaurant’s mobile app, their orders will be communicated to your staff by text, e-mail, or by the web-based admin panel. A mobile app is good tool for customer care. Show your care through posting nutrition information, allergy alerts, calorie counts, and other little details important to your customers. As your customers browse through your menu selection, you send a very clear message that you value them. They can also receive status alerts of their orders through their smartphones push notification system. A mobile app for ordering food is undeniably more reliable than a telephone operator (order taker). In fact, reports now show that customers are shifting online to place their orders on their smartphone than call (and be put on hold and get their orders messed by the telephone operator). 1. We get you on board and give you access to a secure admin panel. 2. You add your content (food descriptions, images, pricing, information texts) to a WYSIWYG editor. You tell us you are ready to launch. 3. We compile the application and publish it on the App Store with your brand (logo) and your content.